At a Glance: An outstanding novel, and one I’m delighted to share with you. Blurb: Back from summer basketball camp and starting at Hoosier State on an athletic scholarship, Billy is looking forward to playing basketball free of pressure from his overbearing, bigoted father. Too bad he’s trading one set of problems for another. His boyfriend Jonah dumps him, expecting he’ll want to spread his wings now that he’s away from home, and the basketball program at State proves harder to navigate than he imagined. 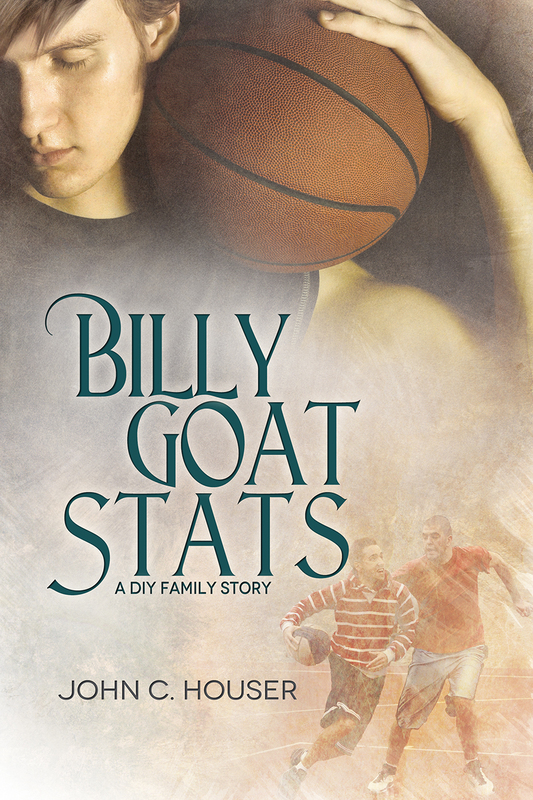 Today is launch day for Billy Goat Stats, the second in my DIY Family series after Music Box. I’ve described Billy Goat Stats in detail elsewhere, so I thought I’d use this opportunity to write about the DIY Family series as a whole. As a gay man, I’ve long heard stories from friends and acquaintances about impossible expectations, abuse, and heartbreak—the trauma of an oppressed minority. But I’ve also seen the other side of that coin: men and women whose unconventional relationships have turned into long-term commitments, former lovers whose ongoing friendships glow with the patina of shared experience, and men whose families have redefined their qualifications for membership out of compassion or respect for freedom. These people have forged new families from the hot steel of rejection. Their battles against social convention, religious dogma, and the unfair constraints of traditional gender roles have tempered them into extraordinary people. These are the people I love, and the people I have tried to write about. 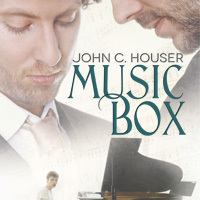 In Music Box, compassion drives two older men to help a younger one who is related, not by blood, but by a mutual love of music. 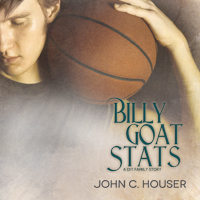 In Billy Goat Stats, a young man finds that a successful basketball season requires that he nourish bonds between people of very different backgrounds and experience. I have more stories to write, but I’m sure you have your own. I’d love to hear about them. The rollout continues. If you have got a Kindle, you can order Billy Goat Stats. On May 25, Dreamspinner Press will publish Billy Goat Stats, the second in my DIY Family series. I wrote the novel because I fell in love with the main character, Billy, in my previous novel, Music Box. Billy appeared when Jonah, one of the earlier novel’s protagonists, needed help coping with bullies in school. Billy befriended Jonah despite being a jock, a basketball player, and popular—that is to say, from as distant a social sphere as I could imagine. When their friendship blossomed, I couldn’t help wondering what would happen if their relationship moved beyond the platonic. Exploring Jonah and Billy’s story presented some challenges for me as a writer. First, it required that I describe an intimate, but mostly long distance relationship. Billy starts the story by leaving Glen Falls to take up a basketball scholarship at Hoosier State University. Jonah is left behind to finish his senior year in high school. Jonah believes a relationship impossible. Fortunately for Jonah, Billy is not one to shy away from a challenge, and their telephone bills grown with the strain of hours of late-nite calls. Establishing intimacy with Jonah is only one of the challenges Billy faces in his freshman year. Helping to hold his team together as they make their way towards NCAA March Madness is another. Writing about basketball was a problem of my own creation. When I introduced Billy in Music Box, I had no idea I would write about him again, so I carelessly indulged my fantasy and made him a “long and tall” basketball jock. Unfortunately, I’ve been more a hiker and rollerblader than a team sports fan, and I’ve never followed basketball. Research skills to the rescue! Studying basketball statistics with an eye towards describing a realistic season for Billy’s team led me into the larger world of sports statistics and the obsession with numbers energizes and occupies so many sports fans. From there, the leap to Billy’s interest in tracking his own life statistics was a short one. I hope you enjoy tracking Billy’s progress as much as I did! Dreamspinner Press is having a sale on all in stock paperbacks. You can get The Door Behind Us and Music Box for half price! I wrote a single paragraph today–in two hours. It was a very important paragraph.